A successful infographic conveys the data behind it more effectively, immediately, and with greater clarity than mere numbers. It adds meaning to the data behind it. It increases and accelerates the reader’s understanding of that information by making a visual connection. When done right, an infographic also leaves no room for incorrect interpretation. We may not think of them this way, but charts and graphs tell stories—stories of growth and decline, contrast, time, value, and more. They just tell them in an abstracted, simplified, compact form, and they need to tell them at a glance. For me, the answer is usually right there in the information. I ask myself where the story is. It may take some digging, but the data usually tells me what the best way to present it will be. By doing this, I take that entire process out of the equation for the reader. Once I know what story to tell, I think about what’s appropriate for the audience and where the information will appear. The examples above are graphically simple, but they adhere to all of these criteria. 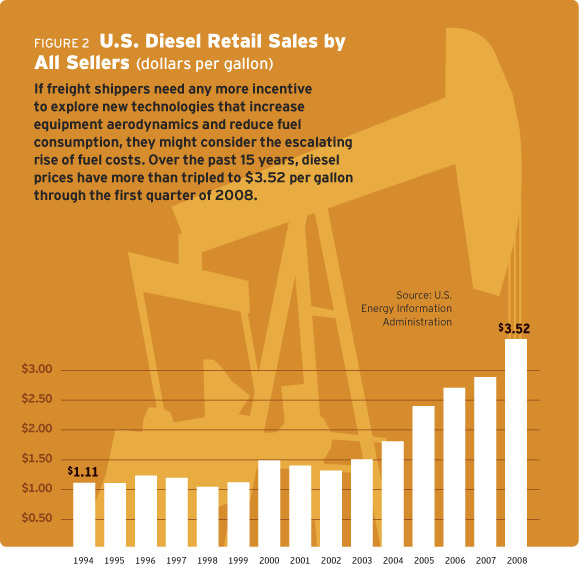 In the Diesel Sales graph (top), the text in the caption emphasizes the difference in price per gallon in 2008 vs. 1994. Because of this, only the dollar values for those years appear in the chart. The years in-between are supporting information, illustrating a trend, but the dollar values are not essential to tell the story, so they don’t appear above the bars. 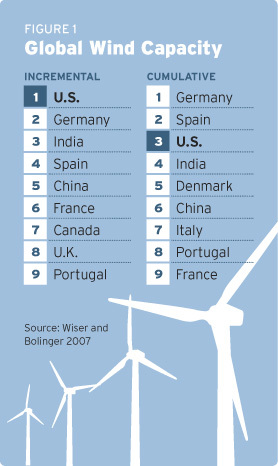 In the Wind Capacity infographic (bottom), the comparison of the U.S.’s ranking in each category was the most important information. Type and color give it prominence, and subtle handling of the other data make it secondary while still proving necessary context.